The big awaited wedding celebrations begins! 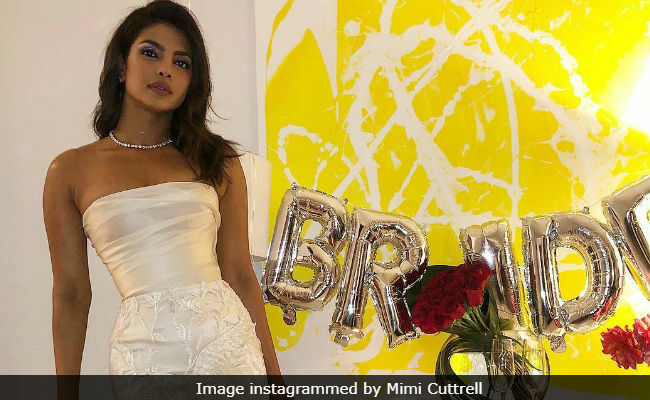 Priyanka Chopra, who’s all set to tie knot with Nick Jonas in December, just attended her bridal shower in New York City and took Social media with a storm as her fans her screaming in excitement. Earlier there were reports that PeeCee will have her bridal shower in US and wait ends for her millions followers as she dressed in a white coloured gown from Marchesa, PC looked stunning and we can’t take our eyes off her pictures. Get ready to drool Fans.. Fans Wonders if Priyanka Chopra’s bridal shower dress is this good, what she will choose for the big day. Priyanka surely knows how to make heads turn with her fashion game and we grantee a sizzling look for her wedding day which will be remembered for a very long time. 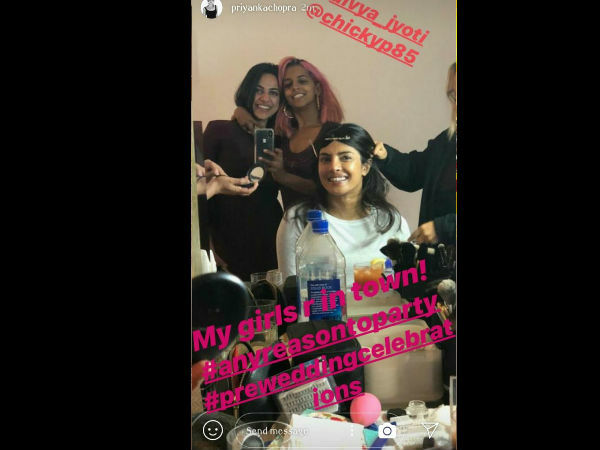 Getting Ready For The Bridal Shower, Priyanka Chopra shared her ‘getting ready click’ on social media, where she can be seen posing along with her girls gang. Slay PeeCee Slay! A killer picture of Priyanka Chopra, leaving her NYC apartment, to attend her bridal shower. Priyanka Chopra paired her look with the diamond jewelleries from Tiffany & Co. Seriously Guys!! we can’t wait for her big day.